In the series of calculators, The Money Quest now brings you TDS Salary Calculator in excel. 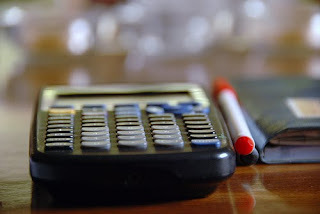 If you want to calculate TDS on your salary income on your own or if you would like to confirm the TDS figure calculated by your employer, you can take the help of this TDS salary calculator. This excel based TDS Salary calculator is easier to operate and will cover majority (almost 80-90%) of the salary tax calculations, but in future I’ll make further changes based on your feedback to make it universally applicable. Sheet-1 Tax Computation Sheet: This worksheet will show the detailed tax computation and the TDS figure. But first you’ll have to enter salary details in Part-1 & 2 of the calculator. Sheet-2 HRA Details: In case you’re receiving HRA as part of the pay package, then enter month-wise following details in this sheet: city of residence (“M” for metro and “N” for non-metro), basic pay, HRA received and rent paid. Sheet-3 Other Salary Details: Enter other salary details including value of perks, other income (if any), details of investments and expenditure eligible for tax deduction. Also enter tax relief u/s 89 (if any) and tax already deducted at source. 1. In the “Tax Payer Status” in “Part-2 Other Salary Details”, please enter 1 for senior citizens [i.e., if you’re an individual (man / women) above 65 years at any time during the year 2009 – 10 (Apr 2009 – Mar 2010)], 2 for Women and 3 for Man. 2. Enter monthly figures in “HRA details” and annual figures in “Other Salary details” of the TDS calculator. 3. LTC / LTA is exempt subject to conditions specified in section 10(5) read with Rule 2B and can’t exceed the actual amount incurred on travel. Please note that only the taxable portion (if any) of LTC / LTA received during the year is to be entered in the TDS calculator. 4. Transport Allowance & Medical Reimbursement: It has been assumed that transport allowance is not exceeding Rs 800 p.m. (Rs 9,600 p.a.) and medical reimbursement is not exceeding Rs 15,000 p.a. So, both are considered as fully exempt and not shown in the TDS calculator. However, if you happen to receive them in excess of the above limit, same can be shown in “other taxable allowances, (if any)” column of the calculator. 5. There are many other petty allowances which are exempt up to a certain maximum limit e.g. , child education allowance is exempt up to Rs 100 per month per child (up to a maximum of two children) and similarly child hostel allowance is exempt up to Rs 300 per month per child (for a maximum of two children). Any amount received in excess of the aforesaid limits can also be shown in “other taxable allowances, (if any)”. However, if the school fees of employee family members is paid directly by the employer to the school or if education expenses of employee family members is reimbursed by the employer, then entire amount is taxable as perks and therefore to be shown in “Other perks, if any”. 6. If professional tax is paid by you, enter under “Expenditure / Savings” and if borne by your employer enter under “Value of Specified Taxable Perks”. 7. “Other income declared, if any” does not include the EMI of home loan for self-occupied house property. In other words, interest and principal repayment of home loan for a self-occupied house property is to be separately shown under the “Expenditure / Savings” head. Also, note that you’ll need to bifurcate your EMI into principal and interest portion yourself if you don’t have the lender certificate or amortization schedule with you. 8. Employer’s contribution to EPF and approved superannuation fund is also exempt from tax, hence ignored by the calculator. The employee’s contribution to EPF and approved superannuation fund is entitled for the section 80C benefit and therefore to be entered in “Expenditure / Savings” head of the TDS calculator. 9. Although certain specified donations u/s 80G can be considered by the employer at the time of TDS salary calculations, but this TDS salary calculator ignores them. 10. The TDS salary calculator assumes that there is no DA in the pay package. It also assumes that no part of the tax is borne by the employer. 11. Medical insurance premium paid by the employer is completely exempt and hence ignored. I’ll be grateful if you give me your opinion regarding the working (in particular the shortcomings noticed by you) of the TDS calculator so that I can make suitable amendments in the next version of the TDS salary calculator. How is the Employee Provident fund(EPF) calculated taking account of the employee and employer's contribution.How is the interest amount added on the EPF account, monthly or yearly ? What would be the fund amount till a person retires. A calculation tool would be of great help as this would forcast the amount a person gets from EPF on retirement. Looking forward for a reply. Thanks for the suggestion! I’ve taken note of it. I have found many useful information/tools in your site, but as Ujjal has suggested, it would be very useful if there can be a calculator for EPF. Looking forward for this tool.